positive effect on fatigue in MS patients. CBD oil works fastest when it is taken sublingually and it gets into the bloodstream fast, where people can feel a calming, focusing effect quickly. Cigarette addiction: those who were taking CBD saw a nearly 40 percent drop in their intake. Using the inhaler decreased the number of cigarettes without increasing their craving for nicotine, pointing towards a purpose for Cannabidiol in the withdrawal process. CDB oil can calm seizures and is safe to use. Dr. Solomon urges anyone taking CBD to know the source of where the CBD is coming from. "There are a lot of legitimate, honest hemp dealers in Colorado, California, Canada," he said. Anyone using CBD Oil should check with their doctor or employer because sometimes, the CBD oil can produce a false positive for marijuana in drug screening tests. Currently, the market is exploding with various versions and brands of CBDoil. How does one know what works better than any other? 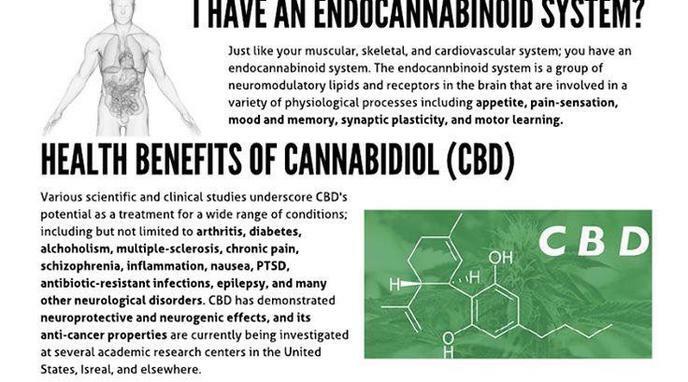 However, where your CBD comes from is important. Dr. Perry Solomon, MD, chief medical officer at HelloMD, stressed the importance of this. The Columbia-trained anesthesiologist has become a leading expert in cannabis therapeutics but warned that because CBD and cannabis are not yet regulated, some companies can take advantage of that. "If it's coming from hemp, you don't know the source of the hemp," as in, where the plant was grown.